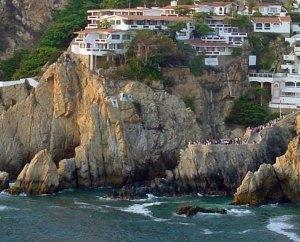 Ask mom and dad about Acapulco, and they’ll tell you about cliff divers and ponchos they brought back from Mexico. It used to be the coolest place in all of Mexico, but now is going through a tough battle with drug lords. Not so cool. Still, the beaches and the surrounding mountains are breathtaking. But don’t go until the coast is clear – and Mexico is doing everything it can to clean up its Acapulco act. 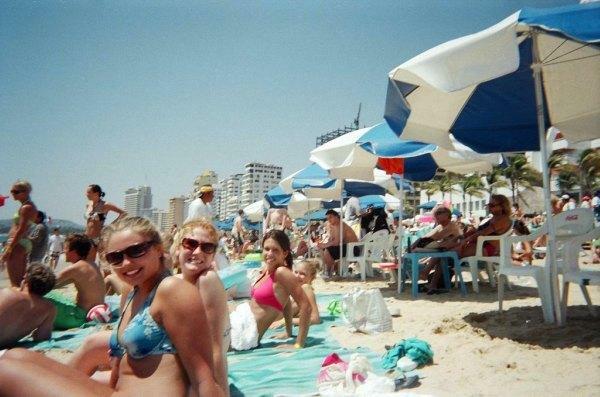 For the student, Acapulco is a Spring Break mecca. Far away from the hustle and bustle of academics, Acapulco Beach is so picturesque, it’s the quintessential postcard you’ve seen in the old movies. And it’s easy to get to. Acapulco has been a tourist haven for decades. Most all major airlines fly there. Hotels are plentiful and there’s plenty to do. You can visit the tourist shops, nightclubs and beaches – as they are all in the same locale. The reason many students plan Spring Break here is because the beautiful beaches and again, the great clubs. It’s the ideal relaxation station. If you’re thinking Acapulco with a family, this is a great choice as well. Kids will love the beach – although there are a few places where the current is strong and dangerous. And, there’s plenty to do. Many of the major hotels have kids clubs – and there are trips, swims, snorkels, tons of things. 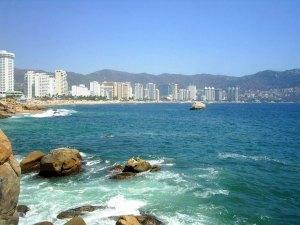 Acapulco transformed into a popular tourist destination for Europeans around 1920. Then in the ’50s, after successful efforts to build the city’s infrastructure including numerous resort hotels, Acapulco became a vacation destination for the rich and famous of Hollywood. In the 1960s and 70s, more hotels went up to make it more affordable for vacationers. And in the 1990s, a road was built from Mexico City, enabling vacationers from all over Mexico to enjoy this beautiful resort city. So what beaches are around Acapulco? On our next visit we will take a look.